It was a Sunday. I never usually worked on Sundays, but enjoyed the quiet. The weather was typical Alaska in the fall. Sometimes nice, sometimes not. It was a not kind of day. Windy and rainy. But mostly very windy. The trees blew in the wind, bending to the point of almost breaking. One must have given in because midway through that quiet day, the power went. FYI, you become extremely unproductive at work when the power goes out. So, I called Steve and was easily convinced to come home. "We'll go for a walk", he said. I chuckled. 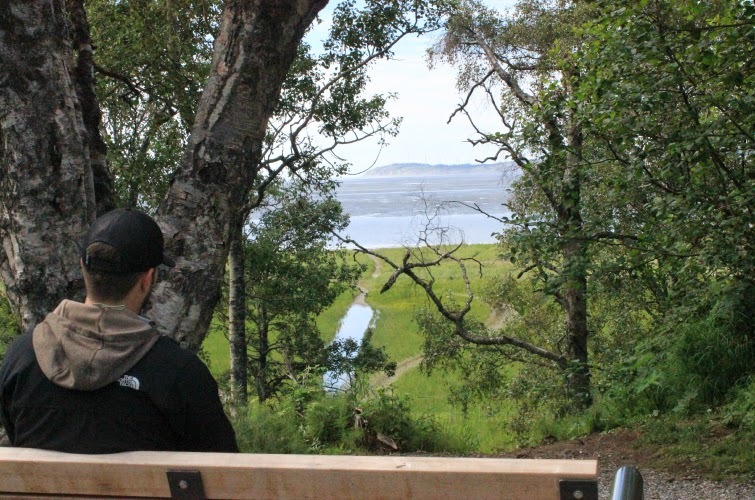 A walk in Kincaid Park on a windy day didn't sound like the most genius idea, but what else did we have to do. So I went with it. When I got home, my rain gear was waiting for me, along with hot soup and coffee in our thermoses. "For after the walk," he said. I didn't question it. The walk was happening, despite the safety issues of walking through a park with tall trees on an extremely windy day. 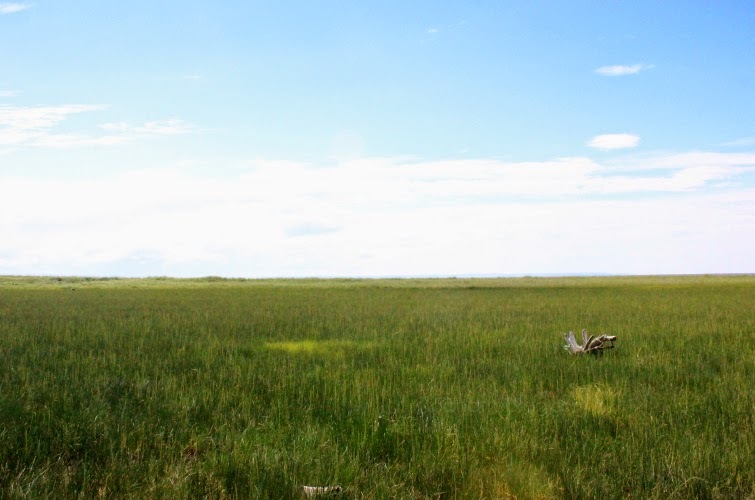 And so we walked, along the path, climbing down a hill and through the tall grass, to a beach that we had been many times before, to the beach that had climbed high on our list of favorite places in the city of Anchorage. 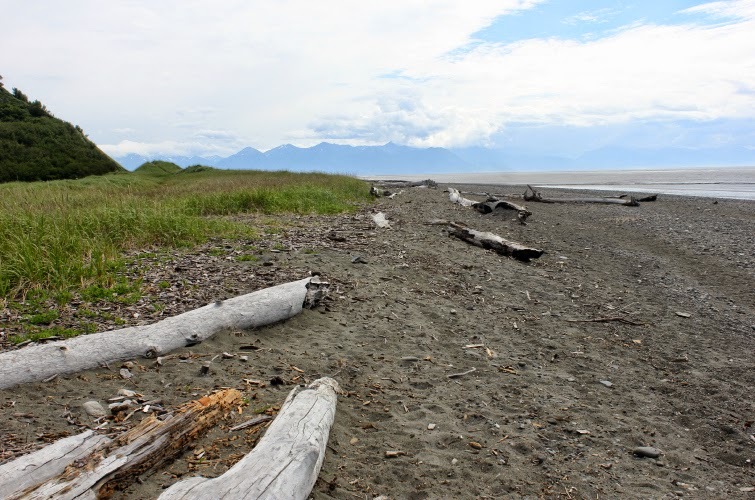 We sat down on a large washed up log and stared out into the vastness of Cook Inlet. Despite the rain pounding our faces, it was peaceful. It was private. It was just the two of us. Totally entrenched in the beauty surrounding us, I felt a small tap on my shoulder. As I turned my head, I noticed Steve was no longer sitting beside me. He was instead, in front of me on one knee. What he said I could never tell you. Not because I don't want to, but because I don't remember. You'll have to ask him because I'm pretty sure I blacked out. To say I was surprised was an understatement. We had been together for 8 years. And while there were extreme amounts of pressure to get married, in all those 8 years, I never bothered him once about it. Which I've been told, by my now husband, is a really good thing. And so, this is the story of our engagement. One that I haven't really shared before. 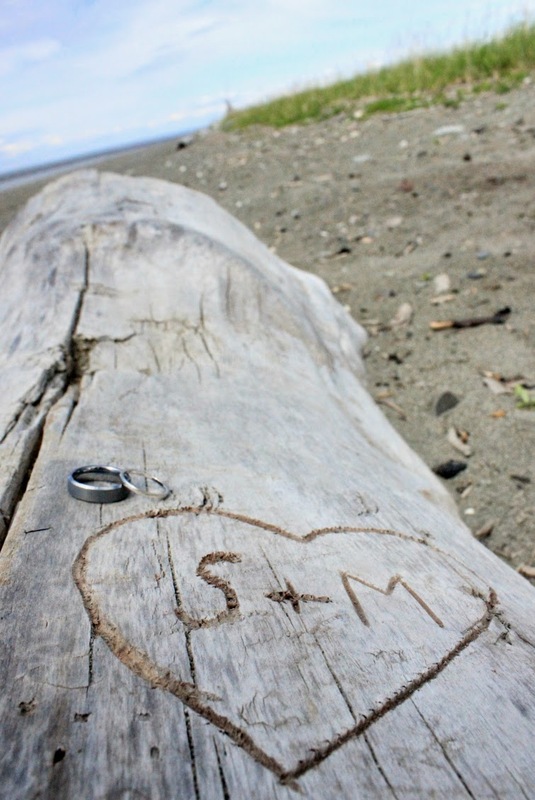 9 months and 13 days later, we became Mr and Mrs.
We went back to our beach on our most recent visit to Alaska to take these pictures. That beach will forever be our beach. It is where our new life together began, and some place that will always be on our must visit list when we're back in the great state. Did you notice anything different around here? That's right, t.o. & fro got a much needed facelift courtesy of Jana Tolman Designs. If you're in need of a makeover, check this girl out - she was extremely helpful, quick to respond, listened to all of my crazy ideas and most importantly, delivered exactly what I was looking for! First off- love, love, love the new design (the image is PERFECT!). That is so sweet and that is a really pretty view! Love your story and the new facelift too!!! Love the new design! :) And that story is very sweet, I love that after 8 years you were still surprised when he popped the question! I love this story, its beautiful, and so romantic!! Swoon!!! such a sweet story! I also don't remember anything my fiance said when he was asking me to marry him, all I remember is saying yes.